I was delighted to be back in Christchurch last week for the first time since the 2011 earthquake, not least to find one of my favourite museums, the Canterbury Museum, virtually unscathed and bustling with visitors. Why one of my favourites? Well first up must be that it is unique, as far as I know, in having a delightfully obscure biblical text from the book of Job inscribed over its main entrance, "Lo these are parts of His ways but how little a portion is heard of Him". Secondly, it has one of the world’s greatest Antarctic collections from the Heroic Era, in which pride of place must go to the vehicles. There is a wheel from the Arroll Johnston motor car that Shackleton took on his 1907-09 expedition in which he hoped to cruise to the Pole at a modest 25mph. 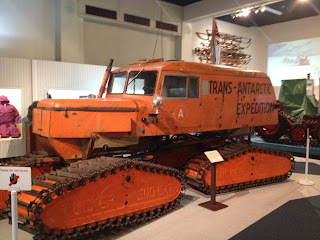 There is the extraordinary plywood boxed motor tractor that was used on Shackleton’s second expedition, with skis at the front and a big paddle wheel at the back (remember that the tank had not yet been invented). This vehicle proved far more trouble than it was worth, and vastly less efficient than the humble Manchurian pony and huskie. 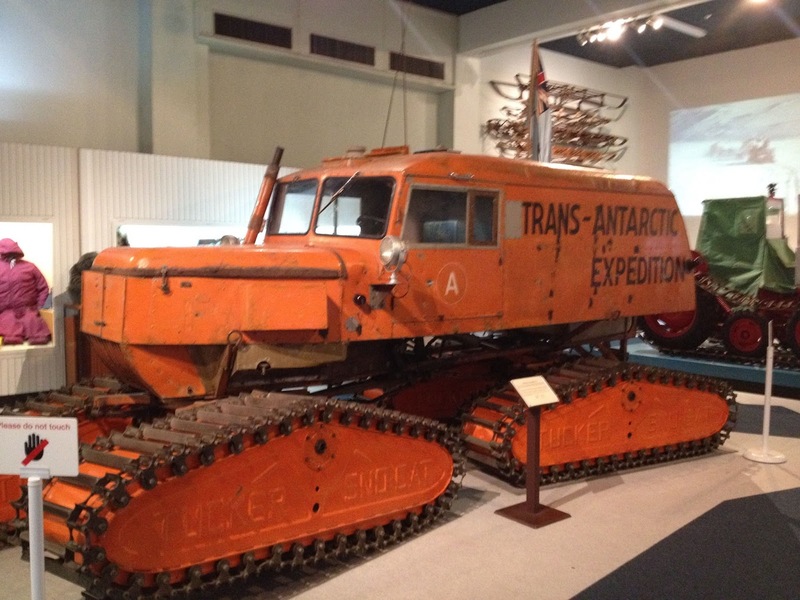 And then there are the two vehicles that featured front of stage in the Trans Antarctic Expedition of 1957/8 - Vivian Fuchs’ lumbering great snowcat, and right beside it the canvas wrapped cab of one of Edmund Hillary’s’ converted Ferguson tractors. Each set off from opposite sides of the continent, and what an epic story it was as they fought their way to the South Pole. 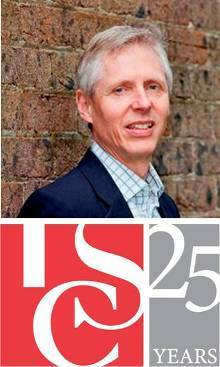 You will have to read the best book on the expedition to find out who (sort of) won or check out my blog from March 2015. Thirdly, the Museum has some very fine dioramas. The film Night at the Museum (and its endless successors) largely works through the scenes where its dioramas come alive. They were actually invented by Louis Daguerre (he of the Daguerreotype), and became in the early part of the 20th century a common museum technique for showing an historical event or a natural history scene. At their best they can impart a highly realistic view; the battle scenes in the Australian War Memorial’s World War One Galleries (see my blog from April 2015) providing a point of access for the visitors that few other mediums can provide. The fact they survive in so many museums is a testament to their interpretive power. 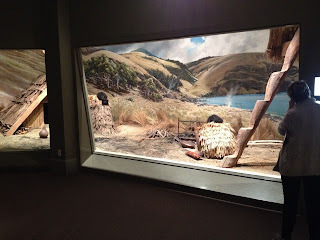 At the Canterbury Museum they are principally used to depict pre-colonial Maori life and bird scenes. Both types in their own way are spectacular, notable because of the quality of the artwork. So, when you are next in South Island, New Zealand do take time to visit the Museum – it’s a real treat.